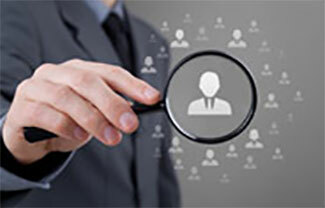 Bangalore-based staffing solutions firm JoulestoWatts has raised an undisclosed amount in pre-Series A funding from Manipal Global Education Services Ltd and Saha Fund, according to a report in The Economic Times. The company plans to use the funds to build its team and ramp up its technology platform. “Having TV Mohandas Pai and Ranjan Pai as mentors and strategic investors is a huge boost for us,” Priti Sawant, founder of JoulestoWatts, told the paper. An emailed query to the company seeking comment didn’t elicit any response by the time of filing this article. Former Infosys finance chief Mohandas Pai is among the most active angel investors in the country. He invests in his personal capacity as well as through his venture capital firm Aarin, which manages stage-agnostic funds that support investee companies from incubation to exit. Saha Fund was founded by Ankita Vashistha and invests in companies run by women and seeks to promote women in startups. Some of the companies Saha Fund has backed include Fitternity, Kaaryah and Stelae Technologies. An alumnus of Cranfield School of Management in the UK, Ankita has worked in organisations like Aureos Capital, Abraaj group, Tholons Capital and Tholons Consulting. Ankita is managing partner at Tholons Capital, which focuses on seed and Series A rounds. JoulestoWatts provides IT solutions, consulting, talent collaboration solutions, and sales and process outsourcing services. The startup has developed automated recruitment workflow and analytics-based smart search engine profile matching as part of its offerings.